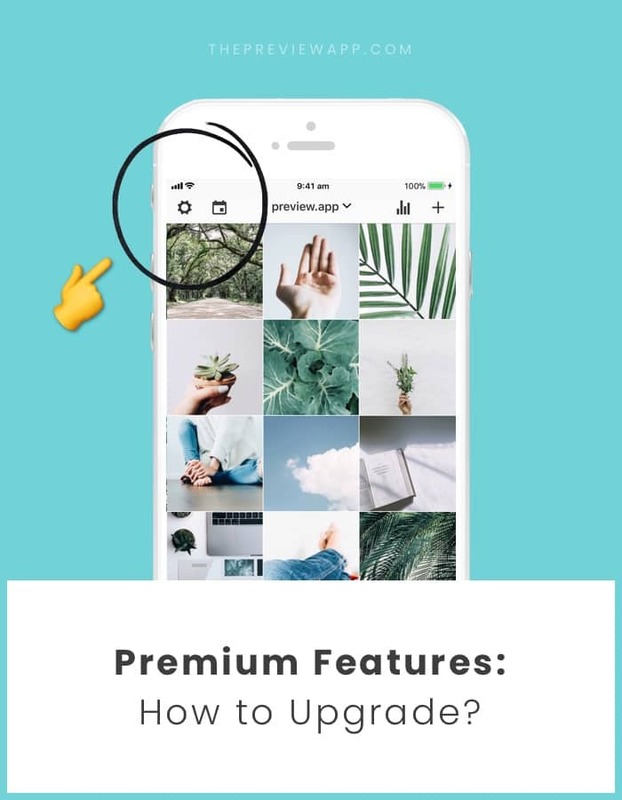 How to Upgrade to a Premium Plan on Preview? 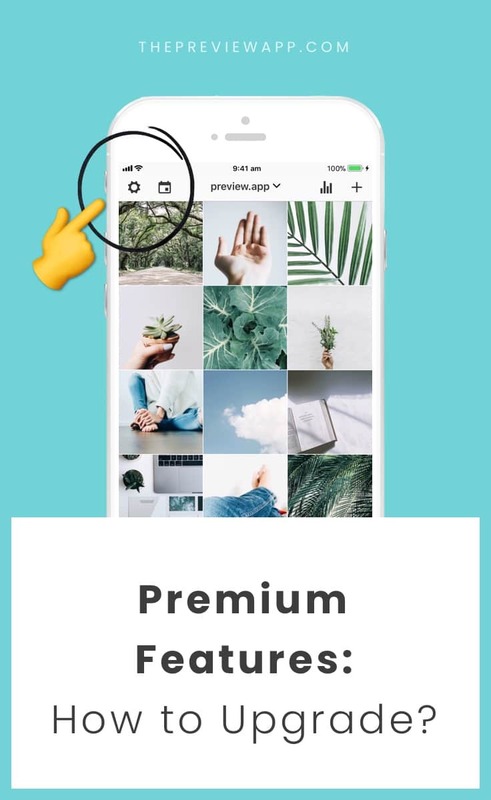 This blog post is for you if you already have Preview installed on your phone and you want to upgrade to the new Premium Plan. Then, go in your Preview feed: Are there photos or videos that you don’t want to use anymore? If yes, please delete them now. It will make the process go faster for you. 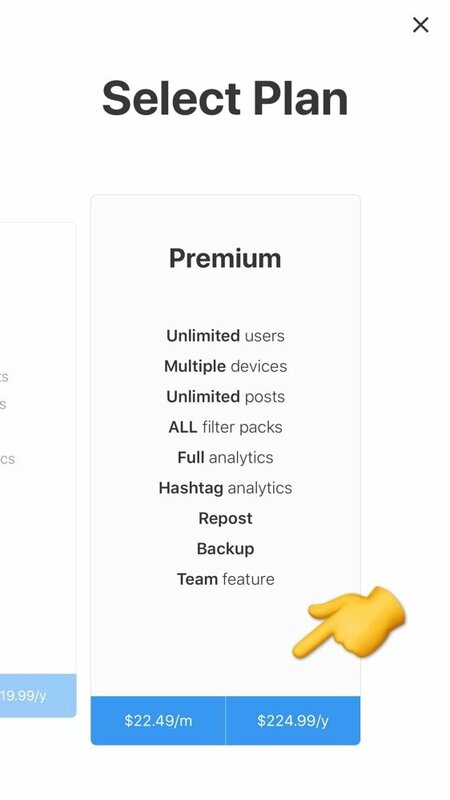 First, you need to make sure you have a Preview account. Select your preferred option and follow the steps on the screen to complete the purchase. Note that you get 2 months free if you get the yearly subscription. Now, your Premium account is being created. 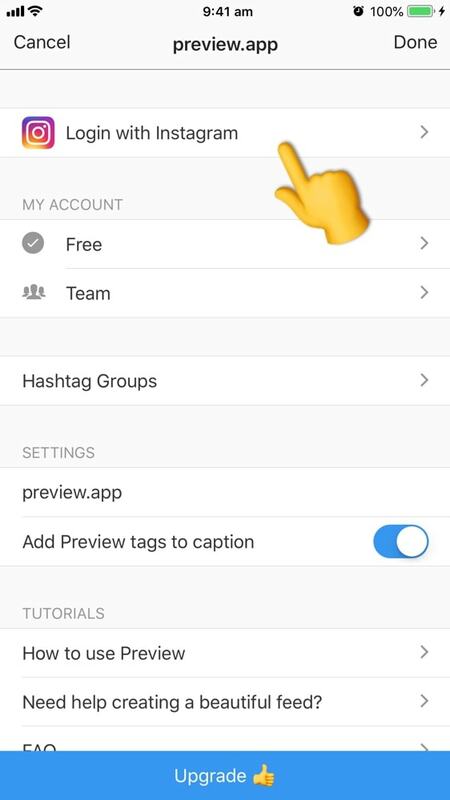 If you had no planned posts in Preview, and you are starting fresh, then you can start uploading new photos and videos. 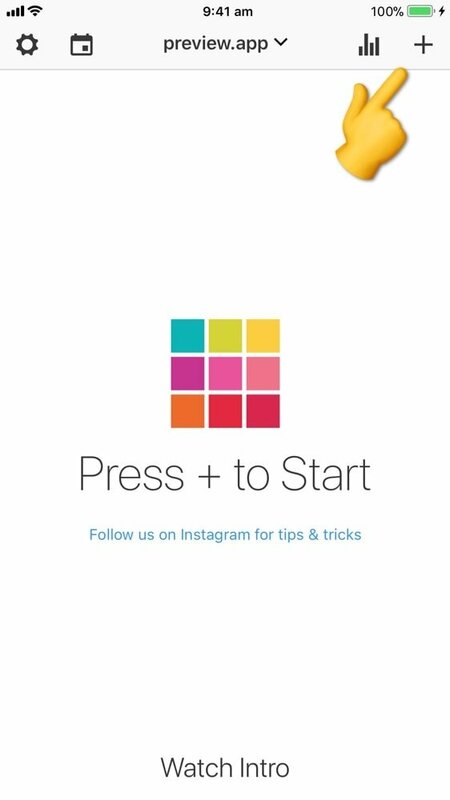 Press on the “+” button (top right corner of your screen). 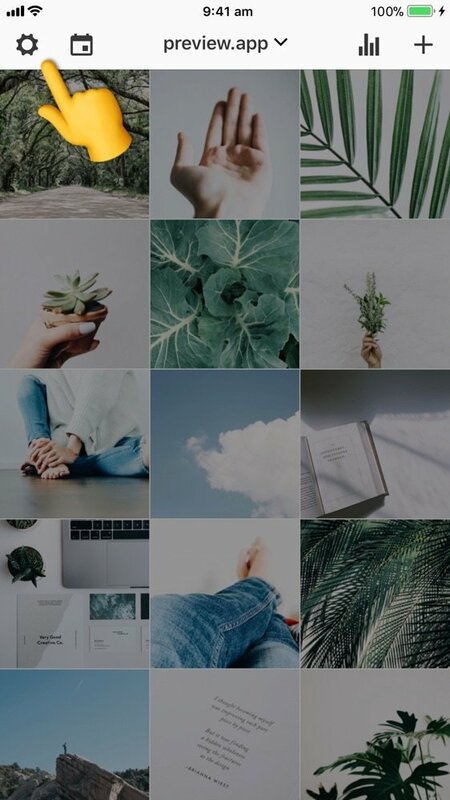 Select photos / videos from your camera roll. 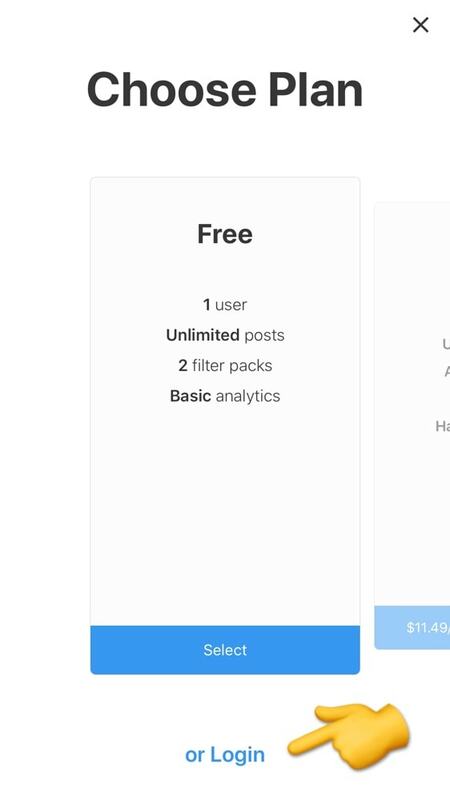 If you already had posts in your Preview app, then you need to wait. Wait for all your posts to upload to the Cloud. 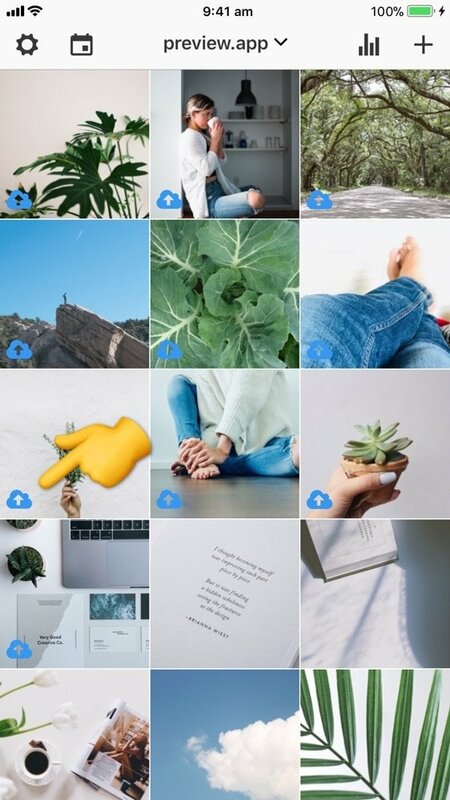 You can start uploading more photos and videos from your camera roll. But we advise you to wait for all your other posts to successfully upload to the Cloud first. This is a delicate and important step. You will see a blue cloud icon on the posts that are being uploaded in the Cloud. Once a post is uploaded, the blue cloud icon will disappear. What happens if you see a red icon? If you see a red icon, don’t panic. This might happen if your photo or video failed to upload. To start re-uploading the photo, just press on it and press on “Re-upload”. Your post will start re-uploading to the Cloud again. 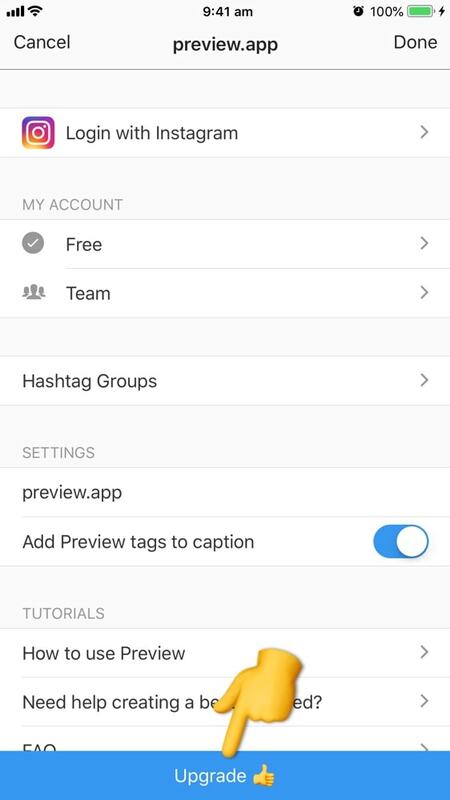 Once all your posts are uploaded, you can login with the same Instagram account on another phone. Make sure you press “Login” at the bottom of your screen. 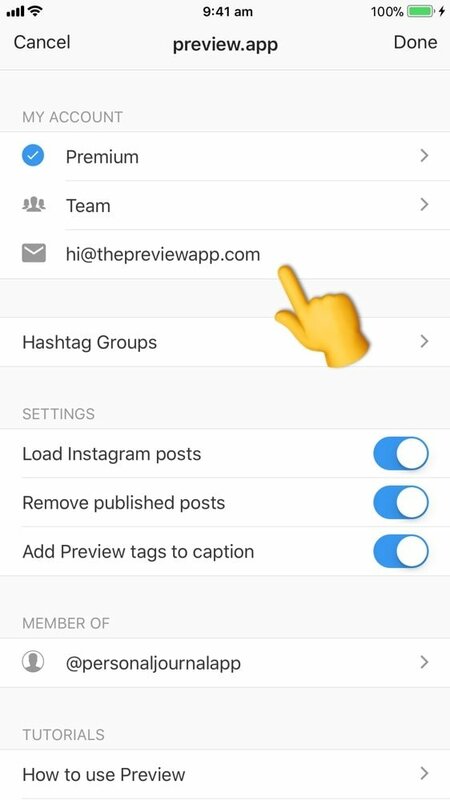 What if you want to share your Preview feed with someone else? Please see this tutorial for all the details. Enjoy planning your feed! If you have any questions, please feel free to send us an email here.